Local businesses enjoy many benefits of joining your local Chamber of Commerce. Your Chamber is guided by a vision of building a vibrant and prosperous community without losing our small town identity or sacrificing the quality of life that has made Casey County appealing to so many people. We believe the business community has a responsibility to provide for future generations through effective and prudent leadership. The Chamber has been on the forefront of change in our community since its creation in 1984. When you join the Liberty-Casey County Chamber, you gain a support system that can help you achieve professional and personal success. Chamber members believe in a shared vision and common purpose of building a healthy and sustainable community. Your Chamber is committed to helping its members achieve business success by creating and fostering partnership opportunities. We encourage our members to work together and create partnerships to help each other grow and succeed. Your Chamber provides an independent voice for the Casey County business community. We promote and support policies that maintain our business-friendly environment, and we work to ensure that Casey County remains viably competitive in today’s business climate. Your Chamber offers networking events to help connect members to the people who can help their business succeed. Whether it’s promoting a product, finding a business partner, gaining new customers, or building relationships with other entrepreneurs and business leaders, the Chamber is the place to start. Your Chamber helps you cut through the clutter by offering strategic marketing opportunities that reach their target audiences through print, web, referrals, and sponsorships. Whatever your goals, we have an opportunity for you. A common trait of all successful business owners is a commitment to learning. The Chamber offers educational workshops and programs designed to develop business skills, share resources, and exchange ideas. Smart, dedicated, and talented people help influence the decisions that affect our business community. Your Chamber allows you to be a part of the solution by getting involved and getting results. 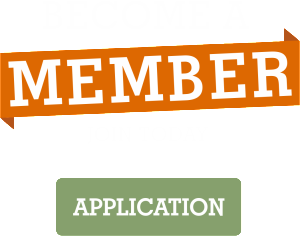 Your Chamber of Commerce membership dues are tax deductible as a legitimate business expense. Dues paid to the Chamber are not a charitable tax deduction for federal income tax purposes. The Chamber is not a charity, but serves as an advocate organization to support area businesses.